As a crossroads between Europe, Asia, the Caucasus and North Africa, the Middle East has been a hub of culinary exchange for centuries. Today, it is one of the most popular and fastest growing ethnics cuisines in North America. Grains, olives, nuts, spices and vegetables are staple foods, ingredients popular with health conscious diners who appreciate a bit of gastronomic adventure. 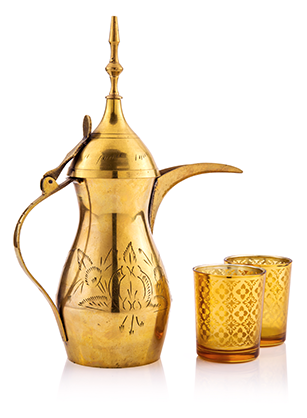 Our collection offers creative and tempting ways to sizzle, sauce, and spice it up with Middle Eastern flair.